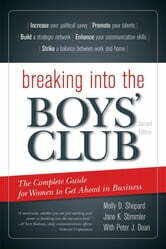 Breaking into the Boys' Club is the ultimate guide to success for women in business. No matter what stage in your career or what job position you hold, this book offers you practical, relatable ways to evaluate your work style and workplace culture in order to better understand behavior that may be holding you back from advancing in your field. 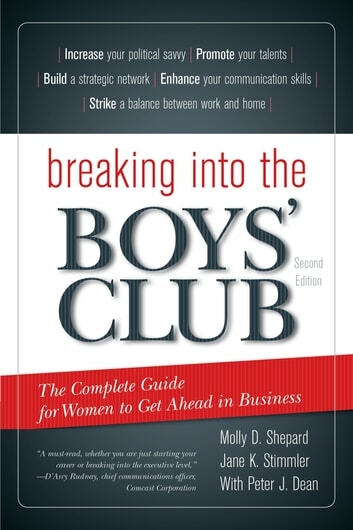 Based on extensive research, Breaking into the Boys’ Club offers compelling stories, quizzes, and tips to help diagnose issues and discover powerful, step-by-step solutions to irksome office challenges. Written by leadership coaches who have “been there and seen that,” this book contains straight talk about the mistakes women make and how to fix them in order to achieve more personal and professional satisfaction and success. New to this edition are sections on dealing with workplace conflict, the importance of sponsors, and how women should think about and plan for their post-career futures.